Using Waterpik On Periodontal Pockets - Good or Bad? 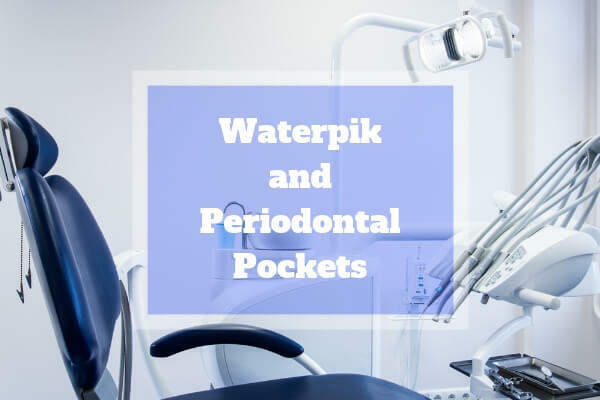 How Effective is Waterpik When it Comes to Cleaning and Treating Periodontal Pockets? How Does Water Flossing Help? How is Water Flossing Better than Other Flossing Methods? Does it Help 100%? Are there Any Cons to this Method? Even in healthy gums, there’s a small space between the tooth and the gum called a sulcus. Bacteria and food particles often become stuck in this space causing inflammation & swelling. This leads the gum to further separate from the tooth leaving an even larger space for bacteria and food particles to get stuck. This space is called a periodontal pocket. When the sulcus becomes diseased and forms periodontal pockets the risk of bone & gum tissue loss increases. This can eventually lead to loss of the tooth. Bacteria in the mouth forms a film of plaque on the teeth and gums. If this film is not adequately removed it will become tartar which can only be removed by a dentist or dental hygienist. A toothbrush can’t reach further than 2-3mm below the gumline and therefore doesn’t remove all the food & bacteria build up. Flossing is an important part of any oral hygiene routine. It removes the plaque that leads to tartar and ultimately gum disease which is called gingivitis. A water flosser is an alternative to traditional flossing. It’s a handheld oral health appliance that shoots steady streams of water to remove food and bacteria from between your teeth. It’s useful for people who have dental work such as braces, crowns or veneers. It’s also a good alternative for people who find string flossing difficult. A water flosser can clean the plaque from your teeth below the gum line which traditional floss is unable to do. When compared to traditional flossing studies have shown that water flossing performs better. A water flosser is not as portable as string floss and therefore not as easy to use while you’re on the go. If you can use string floss, then it’s better to do both. String floss and water flossing together will be a highly effective method to keep your teeth clean & free of disease. String floss is also more intrusive, so your gums are more likely to bleed. Before you jump into any conclusions, we recommend reading our Waterpik reviews as well as to follow our guides about proper flossing techniques. Ready to look after your teeth properly from now on? Remember, prevention is better than cure.